Riding over the Westgate isn’t for everyone, which is why we’ve got our family ride for those who are still keen to jump on their bike and get involved. 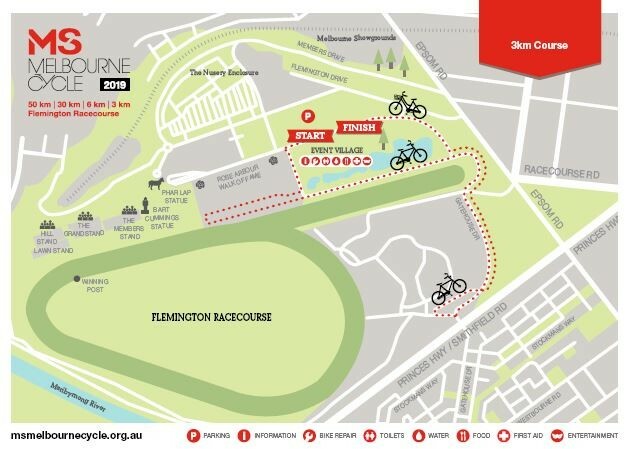 Made up of two shorter courses, you can choose to ride 3km or 6km around a closed course in Flemington Racecourse. Both are off road, so are perfect for kids, families or less experienced riders. The Family Rides start at 11.30am. 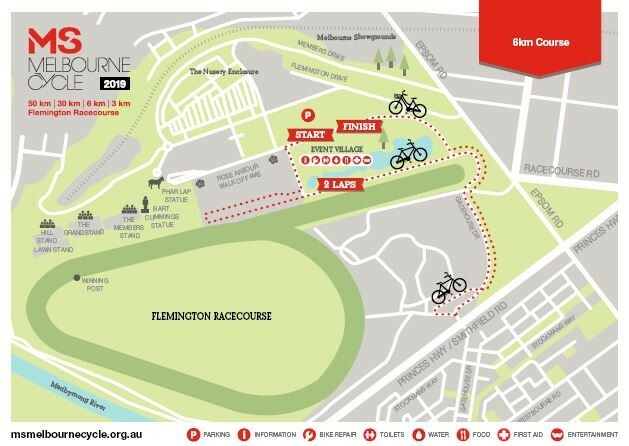 The family ride takes you along the prestigious Member’s Drive, down near the Maribyrnong River, through the Elms and under the grandstand - all while being surrounded by the famous Flemington rose gardens. And remember, our wonderful volunteers will be located on the course to assist, direct and cheer you on as you make your way from start to finish. Course maps may be subject to change.